Are you looking for students to complete an internship at your company? 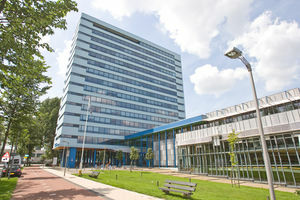 TU Delft's Faculty of Aerospace Engineering is one of Europe's largest educational institutes specializing in aerospace technology with a student body of over 2200. A long history of technical excellence, innovation and teaching performance across a broad spectrum of space and aerospace disciplines enables graduates to provide technically imaginative and commercially viable solutions for this dynamic sector. The Faculty aims to train engineers to respond effectively to the vast range of engineering needs arising within the worlds of aerospace technology. Students are encouraged to be confident and resourceful in problem solving, and at the same time, to cooperate and communicate across cultural borders. During the Master Programme all students complete an internship of at least three months. However students can also decide to extend this period or to combine their internship with their final thesis work. The internship aims to provide students with skills that complement those taught at university. This 'learn and explore' kind of internship typically takes place in an aerospace related organisation. Hiring a student from the Faculty of Aerospace Engineering will provide you access to renowned professors and research groups. How can you get in contact with your future intern? The Internship Office can inform you about the different selection options to be taken. You can choose to have students contact you directly about internship opportunities. Also you can choose to have the Internship Office do the first selection. It is the goal of the Internship Office to provide a customized solution for your company/institutes needs. As a service, we can also publish the internship/final thesis opportunity on our student intranet site. Furthermore, we can e-mail students who meet your requirements (certain specialization, period available etc) directly in order to inform them about your internship opportunities. Obviously we also mention the different internship possibilities to students that contact us in search of an internship position. Please let us know how we can help you choose a suitable candidate for your organisation! The Internship Office at the Faculty of Aerospace Engineering is the main point of contact for companies/institutes interested in hiring an intern. 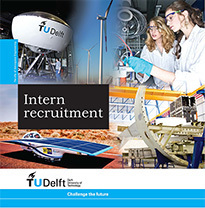 So if you are interested to have an intern from our faculty, please contact the Internship Office by mail: Internship-AE@tudelft.nl.